In early June, Interior Secretary Ryan Zinke ordered a review of sage grouse conservation plans, which impact 10 Western states and 70 million acres of public land. The review of the 2015 plans will examine whether or not they give states enough input or if they hinder extractive industry activity on those lands. The original plans were five years in the making and included a long list of stakeholders, seen by many as an impressive compromise between federal and state governments. Republican Gov. Matt Mead of Wyoming and Colorado Gov. John Hickenlooper, a Democrat, both of whom worked on a taskforce behind the 2015 plans, stated that wholesale changes were “likely not necessary.” Zinke’s order looks at population targets and captive breeding, which some conservationists fear might be used in lieu of holistic approaches like habitat management. Federal officials have until early August to conduct a review with recommendations. 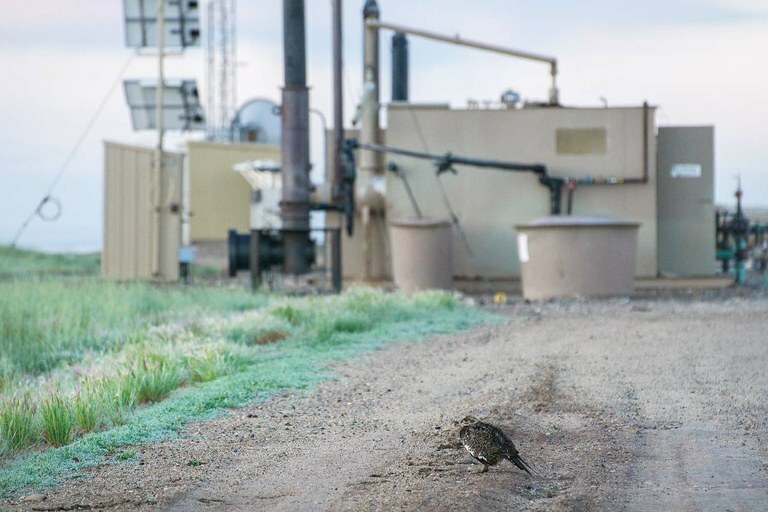 A greater sage grouse hen roams near a well in the Pinedale Anticline natural gas field on BLM land in Wyoming. A plan aimed at protecting the imperiled bird will be reviewed. 6 MILLION: Number of acres of BLM land in southern and eastern Utah whose travel routes will be re-assessed as a result of a lawsuit brought by 10 environmental groups. 10,000: Miles of routes on those acres. Bella Maroon rests on her surfboard during a youth program with Brown Girl Surf at Muir Beach. She has since taken on a leadership role in the program as a junior surf instructor. 12: Number of elk an Oregon rancher was arrested for shooting following his many attempts to keep them from eating his hay. Steve Langdon: “Rural communities never wanted this. Only politicians did."